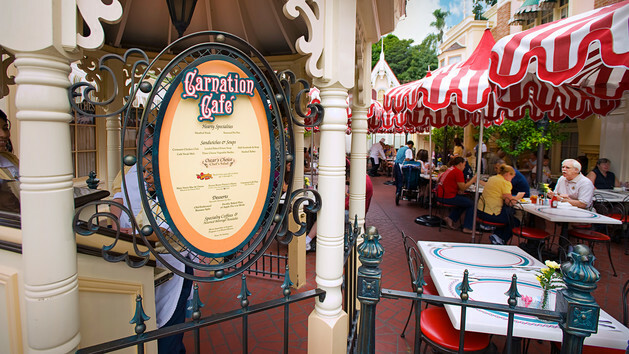 In honor of the Disneyland Diamond celebration comes a delicious recipe from Carnation Café. This loaded baked potato soup is beyond delicious. Boasting in flavor, and bacon! 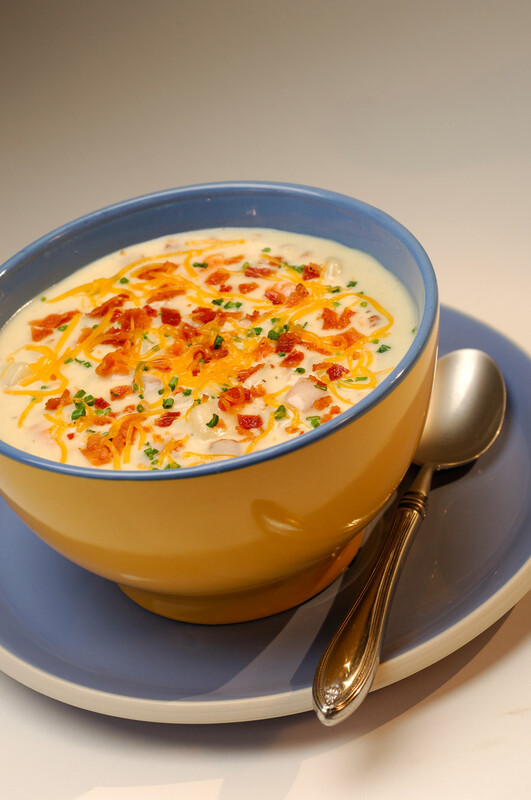 This cheese loaded baked potato soup is a great way to Disneyfy your dinner! In a 6- to 8- quart stockpot over medium heat, fry bacon until crisp. Remove bacon and drain on paper towels (reserve half for garnish). In the bacon fat, cook onions, carrots, and celery until the onions are translucent. Add potatoes and cook for 4 minutes, stirring occasionally. Sprinkle in flour and stir constantly over low heat about 5 to 7 minutes until the mixture has thickened slightly. Add stock and half of the bacon. Season with salt and pepper. Over medium-high heat, bring the soup to a simmer and cook for 25 minutes, or until the potatoes are soft. Mash some of the potatoes for thicker, creamier texture. Add cream and simmer for 5 minutes. Season to taste, and garnish with toppings, if desired. The next time you are looking for a delicious dinner at Disneyland, head on over to Carnation Café and try this delicious loaded baked potato soup! If you aren’t heading to Disneyland, but are still looking to Disneyfy your dinner, give this recipe a try!